This post first appeared on our sister site, Trade Only Today. Florida officials are unsure what to do with hundreds of derelict boats on the state’s waterways. 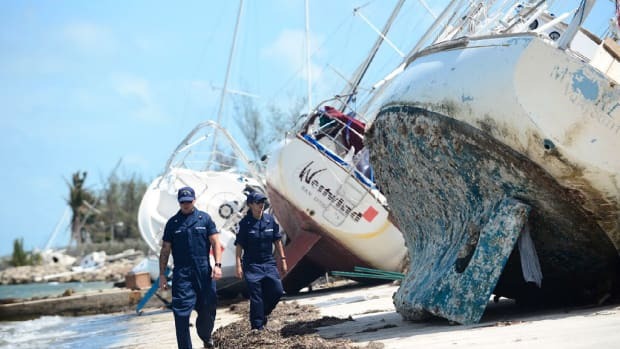 The Miami New Times reports that there are 370 boats that pose a hazard to navigation in Florida, plus 226 other “at risk” vessels that weren’t removed after Hurricane Irma, which destroyed about 3,000 boats across the state. 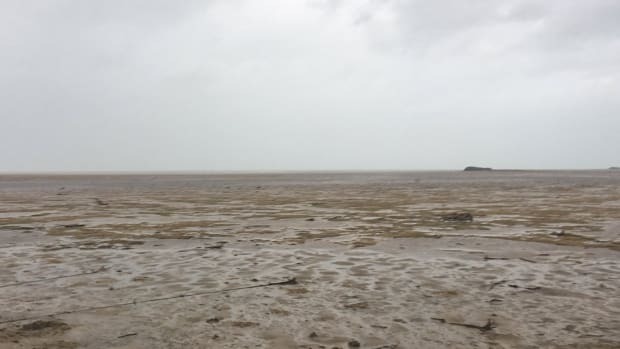 "The City of Miami has so much water within its boundaries, it has the biggest problem anywhere in the county when it comes to derelict boats," John Ricisak, a supervisor who manages the derelict vessel removal program at the county&apos;s Department of Regulatory and Economic Resources, told the paper. "And it&apos;s a problem they can&apos;t really deal with at the moment." 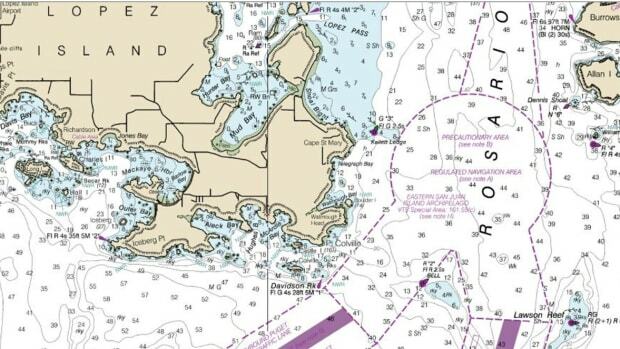 The paper reported that when a boat sinks, local and state agencies have to determine who is responsible for the wreck, and if it endangers public waterways. If it is a hazard, the agencies have to consider the most cost-efficient ways to remove it. 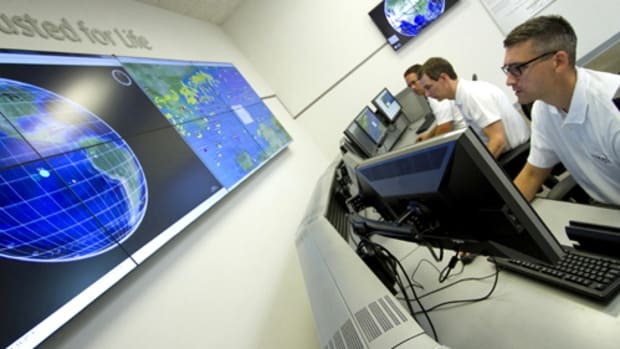 That typically involves hiring private salvage companies. Before 2008, counties across Florida were charged with removing dangerous vessels from public waterways. They did this largely by using money from vessel-registration fees. 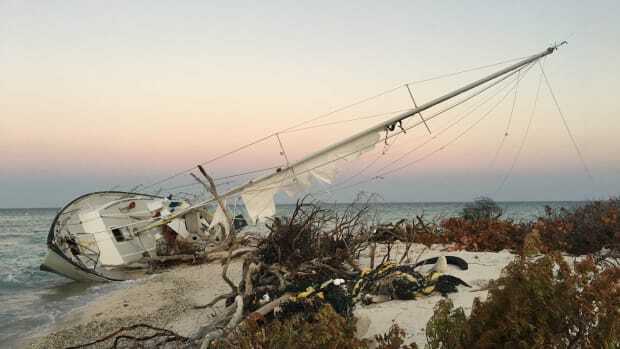 By the time the recession hit, the paper reported, the derelict problem “had grown out of control.” In South Florida, storms in 2004 and 2005 had left behind dozens of abandoned, dilapidated and sunken boats. "People were having their homes foreclosed on, and the last thing they were worried about was their vessel," Phil Horning, Derelict Vessel Program administrator for the Florida Fish and Wildlife Conservation Commission, told the paper. "A lot of people couldn&apos;t afford marina slips anymore." 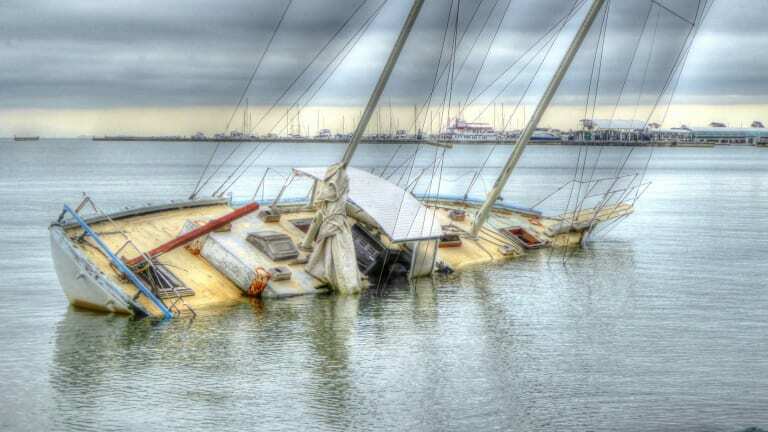 Many owners removed hull identification numbers and let the boats sink. In 2008, the Florida legislature earmarked $1.55 million to FWC for derelict removal. By 2009, Horning and his colleagues had set up a database that identified 1,500 derelicts across the state. Since 2016, the state legislature grants about $1 million a year for derelict-boat removal. 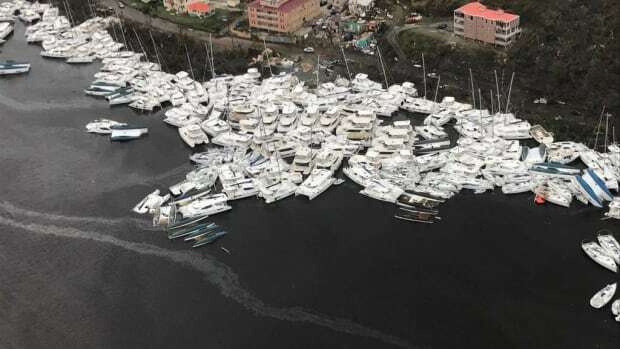 The system allows authorities to connect the boats to owners, who are then required to pay for removal and disposal. If an owner cannot pay, the state and county remove the vessels. 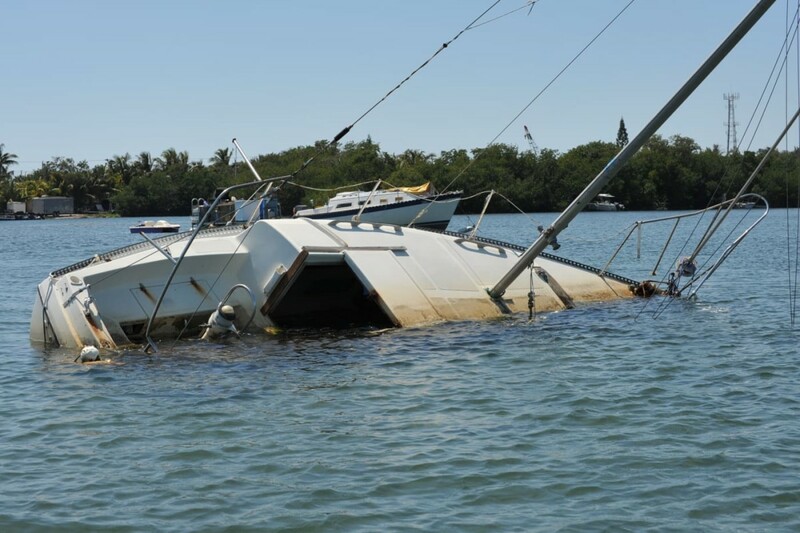 Owners who leave sinking boats can be charged with first-degree misdemeanors punishable by up to a $1,000 fine and a year in prison. The worst offenders also face felony dumping charges, which carry up to a $5,000 fine and five years in prison. Prosecutions are rare, says a sergeant in the Miami Marine Patrol, as it’s difficult to prove intent. Most often, state, county and city agencies must work together solve the problem. The cost of removal is about $300 to $500 per foot, even more for more complicated situations. 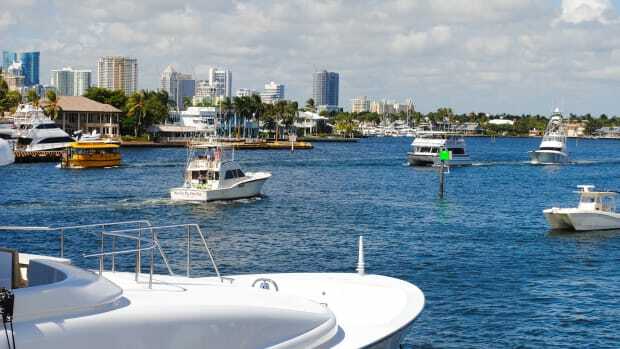 An estimated 600 derelict vessels have been removed from Miami waterways since 2010. "This isn&apos;t like a car — you don&apos;t just tow away a 30-foot sailboat," said Kyle Queen, a captain with TowBoatUS. Miami. "We have to rent a crane and a barge. We have to smash the boat. We have to take out the engines. It&apos;s a process." Queen often has to dive beneath the boats to attach inflatable devices to lift the vessels. "There are times you&apos;re under there thinking, OK, so this is where I die," Queen said. Florida Fish and Wildlife, the Environmental Protection Agency and the Coast Guard removed and stored nearly 1,000 derelict vessels after Hurricane Irma, with a cost to taxpayers of $51 million. Owners who contracted with private companies accounted for hundreds more. On Dinner Key, which was dubbed a “boat graveyard” by the Miami Herald, 200 derelicts were removed after Irma. 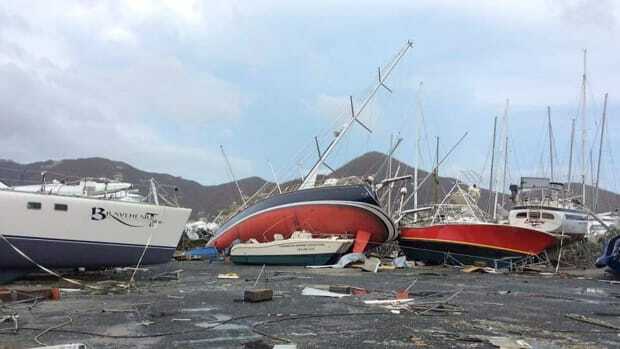 "A number of the boats that wound up sunk or crashed up against people&apos;s seawalls or even in people&apos;s backyards were considered derelict well before the storm," Ricisak said. 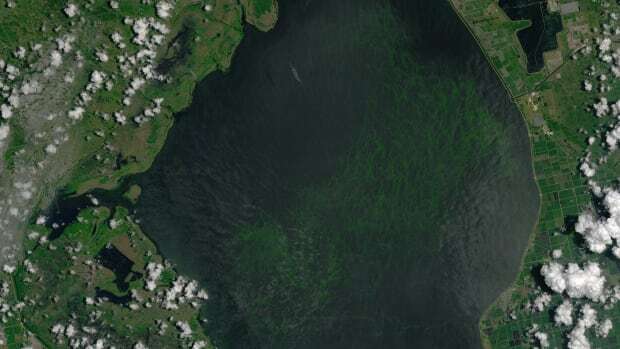 "They weren&apos;t well maintained, they weren&apos;t securely moored, and the inevitable happened." The remaining 226 derelict boats in Florida waterways may have to wait for congressional approval for a grant from the National Oceanic and Atmospheric Administration before they are removed.